There is a sort of sacred moment that comes with a cup of tea when done right. It’s not something to be rushed — it’s something to be experienced. The first memory I have with the ritual of tea is when I must have been about 5 years old. My grandmother slowly steeped something chamomile & earthy in her Japanese style teapot — white & blue with seagulls on it (I now have this set in my home). All I remember is waiting patiently, taking in the heat, the aromas, and the joy on her face as she was gracefully cultivating an atmosphere for the two of us. I have to admit that I bellyflop into the busy, rushed hustle culture at times. Mornings, however, have always been incredibly important to me, and making tea is a simple way to allow yourself some beauty and peace. Recently, I have been thinking a lot about process over perfection. Making tea is an incredible opportunity to find joy in the steps rather than rushing to meet an end. Now it’s time for my confession: I love green tea lattes, but used to have a really bad habit of telling myself they were “healthy” (it’s green, right?!) while ignoring the 30+ grams of sugar per serving. Unfortunately, sugar hasn’t been my friend for quite a while. Sugary drinks leave me feeling jittery, burnt out, and sick to my stomach. I didn’t want to let my taste buds down, so I have found some delicious alternatives to my favorite sugar-filled drinks that are actually good for you and don’t lack at all in flavor. 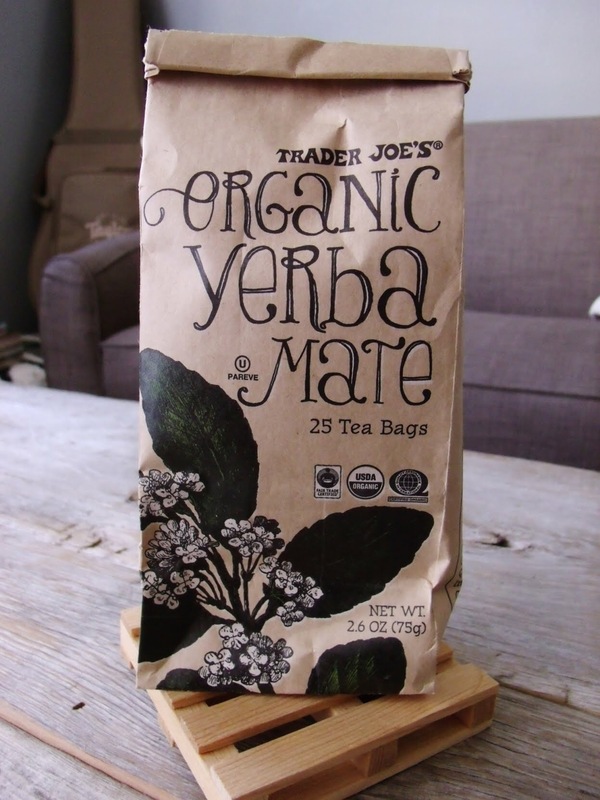 This particular tea (organic yerba mate from Trader Joes) has been a favorite of mine for years because of its incredible taste and health benefits. I have never had the strongest immune system and have a whole pile of random health issues. Organic yerba mate tea has 90% more antioxidants than regular green tea, and has been proven to help with mental clarity, focus, digestion, and is a natural stress reliever. Give your morning a delicious and healthy start. One bag of organic yerba mate tea for a single cup, or 3-4 for a pot of tea depending on how strong you like it. Pour your hot water and let it steep for about 5 minutes. Remove tea bag. Add sweetener and milk of choice, stir, and enjoy! I should also add an additional step for all you over achievers out there. That’s right, I’m talking to you, my fellow recovering perfectionists. Put your phone down while you drink it. Close the laptop. Maybe even be so bold as to sit in silence. Take it in. This moment is yours.